My Korean friend always asked me if we have any special activities in KL. It's really difficult for me to think one since Malaysia has a tropical climate all year round, therefore we prefer to stay indoor with air conditional to avoid the sticky and warm feeling. "So what are you guys doing for the weekend"? "Cafe hopping, movies, go to the malls", I think these are the common activities we have during our weekend. 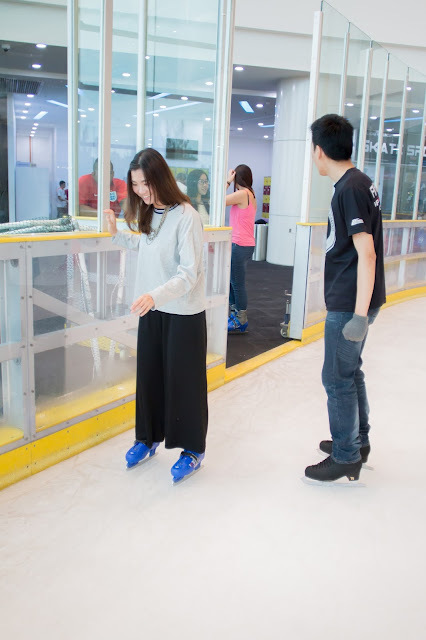 If you encounter the same situation as mine, no idea where to go, not sure how to spent your weekend, then let's do ice-skating at Icescape! 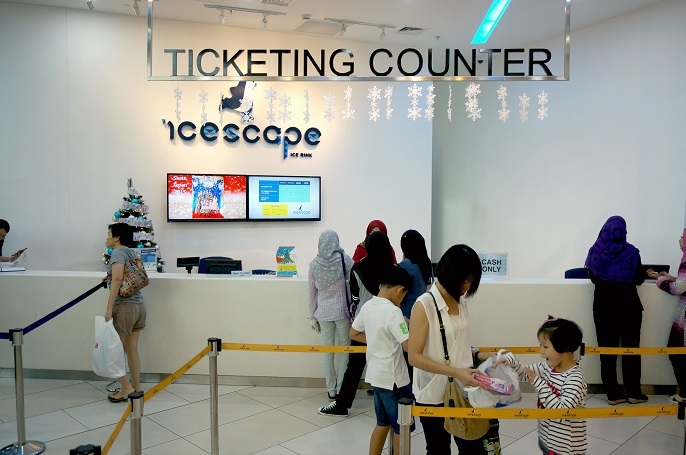 Icescape located at first floor of IOI City Mall. 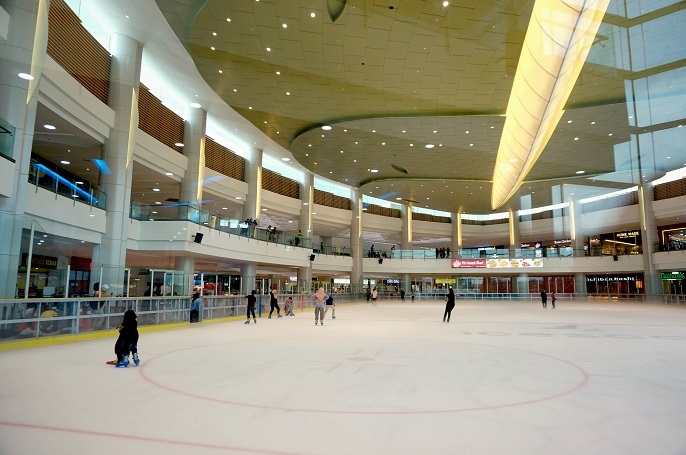 It's the foremost and only Olympic sized Ice-Skating Rink in Malaysia. 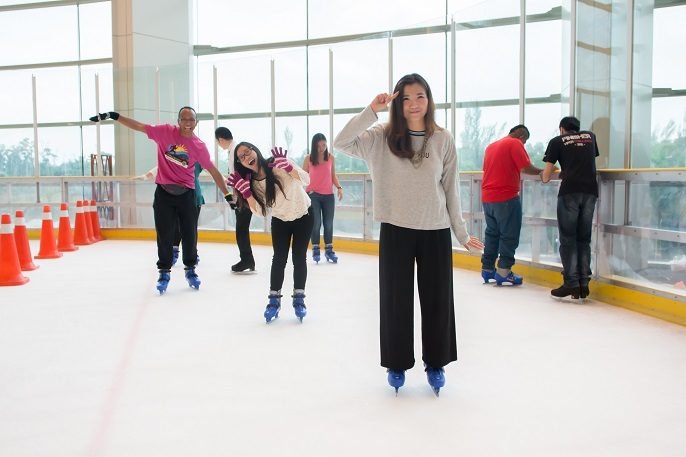 The ice surface area is 1,800m2 (30m width x 60m length), surrounded with a breath taking glass view. 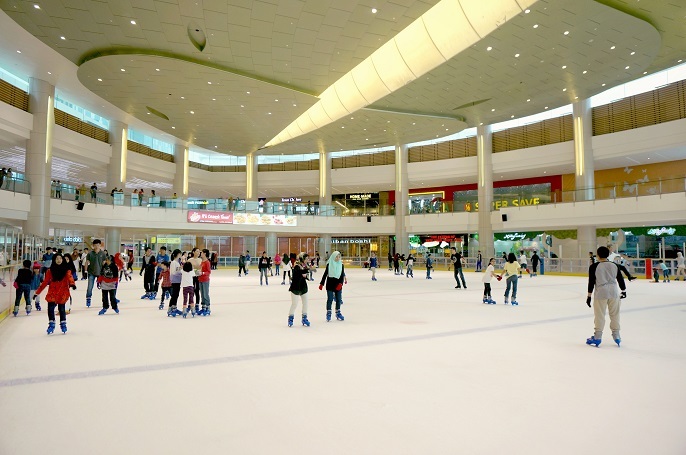 It also recognized by Malaysia Book of Record as the "Biggest Ice Rink in Malaysia". 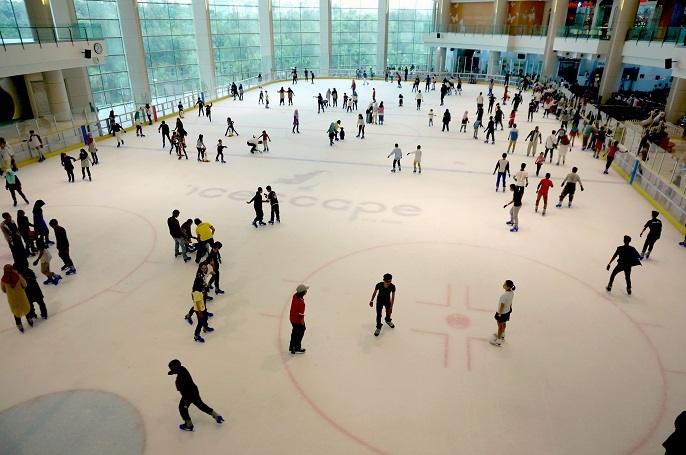 Icescape not only provides simple ice-skating for kids and adults, but also other activities like ice hockey, short track speed skating and figure skating. It is also an ideally perfect place to host premier performances and competitions too. The general admission fee is RM25 during weekday, and RM35 for the weekend, school and public holiday. All these fees include regular skate rentals. 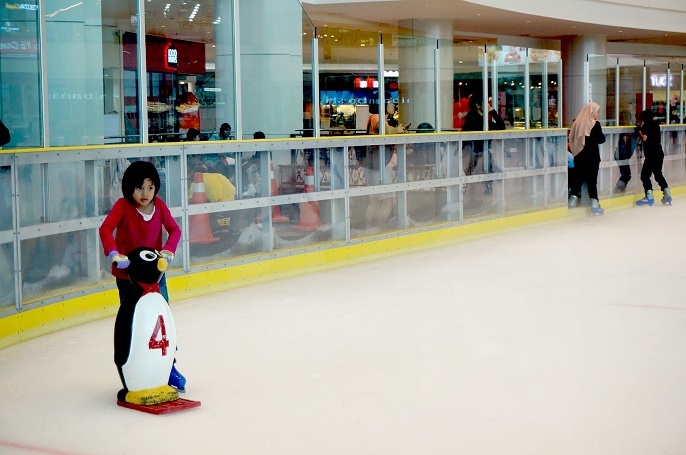 For those visitors like parents who are not interested to ice-skate, you can sit and watch at the waiting area for your kids by just paying extra RM5 per person. 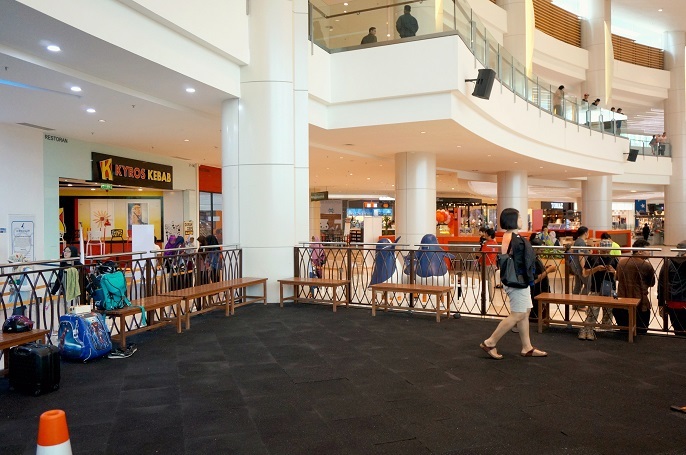 There is a big and comfortable space with the wood benches around the public waiting area. 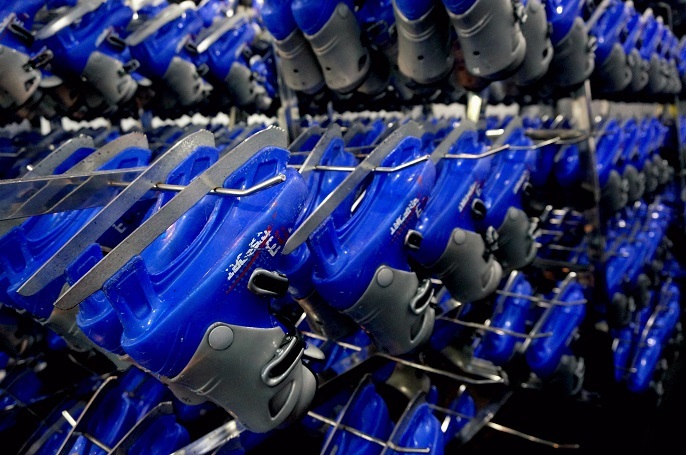 After tickets have purchased, you then proceed to choose the right size for your skate. 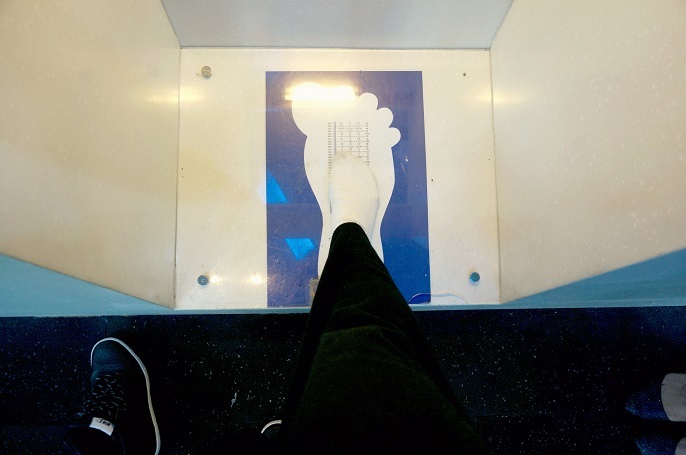 In order to get the right size, you have to measure your foot according to their measurement board. My shoe size is always size 7, and I got my skate size at size 8, slightly bigger huh. 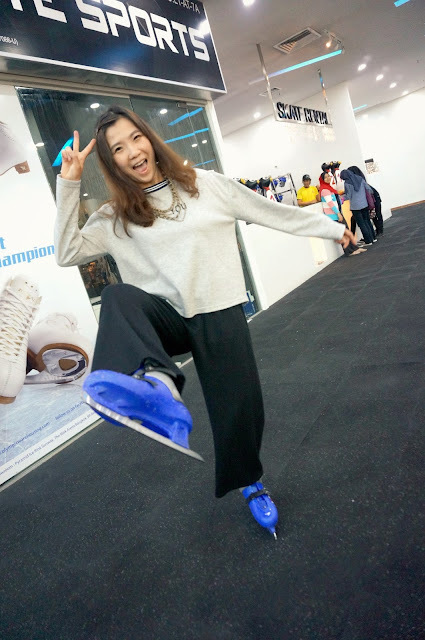 For ice-skating, you should wear clothes that are loose and comfortable so that you will be free and easy to move around at the ice rink. 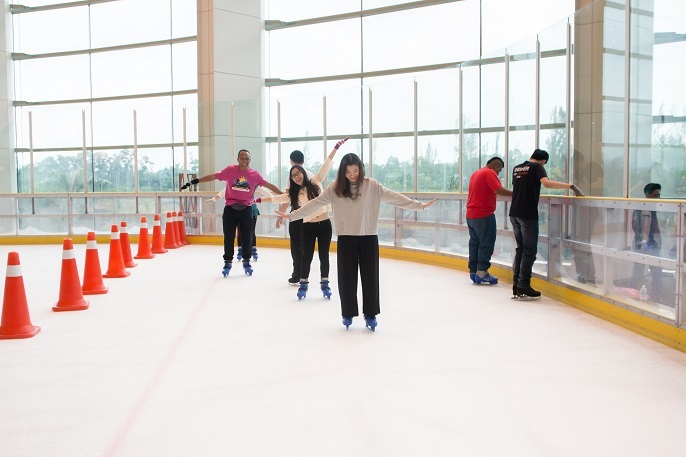 Make sure you bring your own socks and gloves when you want to ice-skate; otherwise, there will be an extra charges for the socks at RM6 and gloves at RM10. 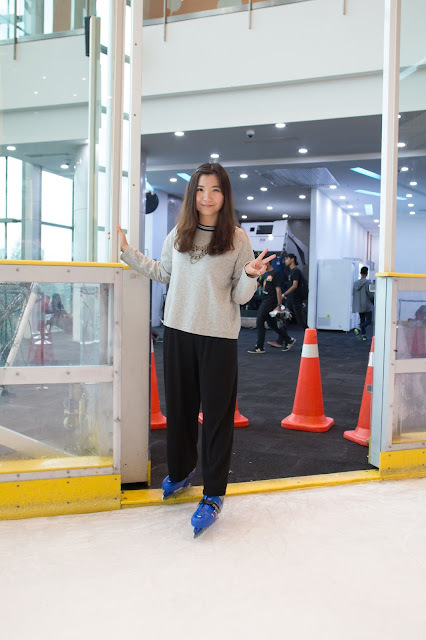 It is compulsory to wear the socks, or else you feet will be injured by the ice-skates. For the gloves, I would say it depends on you; the reason to wear the gloves is not really to keep you warm, but to protect your hands from being cut by the blades if you fall down. 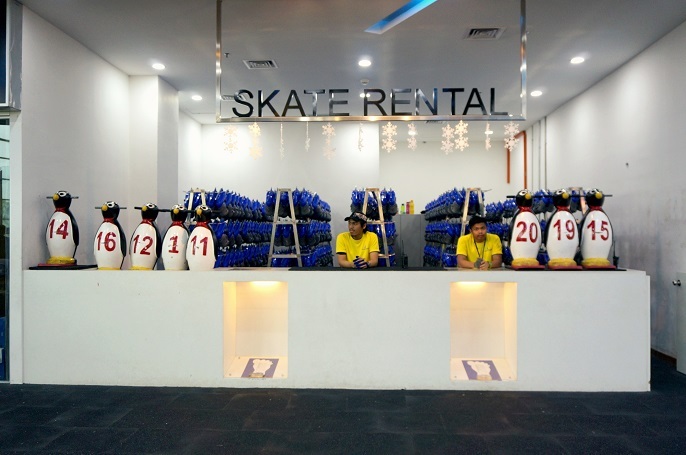 For the kids, you can rent the Penguin Skating Aid at RM30/hour. This will help them to practice their skating skills as well as get the correct skating postures. 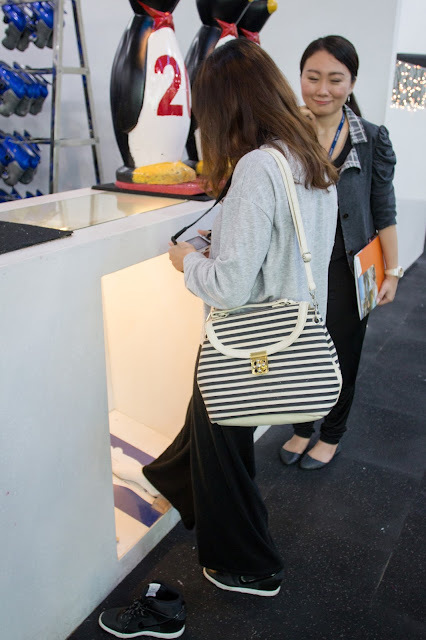 There are total 186 lockers are available, so make sure you keep all your valuable things include your shoes inside the locker by just paying RM2 of each locker. 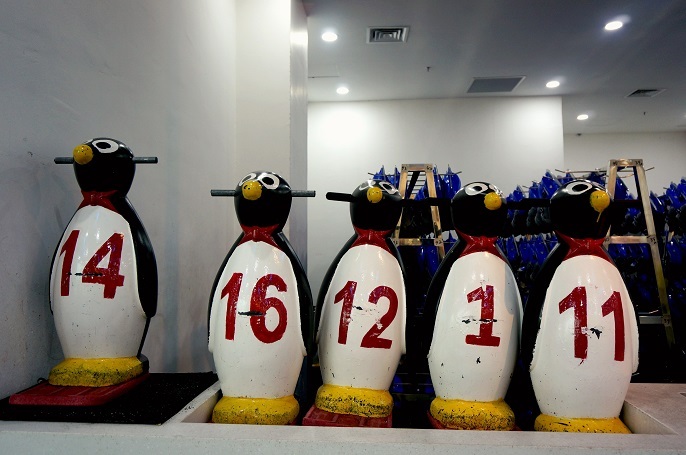 Choose your lucky numbers, drop the tokens, lock them all inside, that's it!! Always start up some basic warm-ups before any workouts or sports! We are lucky to have the professional coaches to guide us the warm-ups as well as the useful ice-skating tips to get us started. If you are stepping our for the first time, you can stick on the wall to get your balancing. 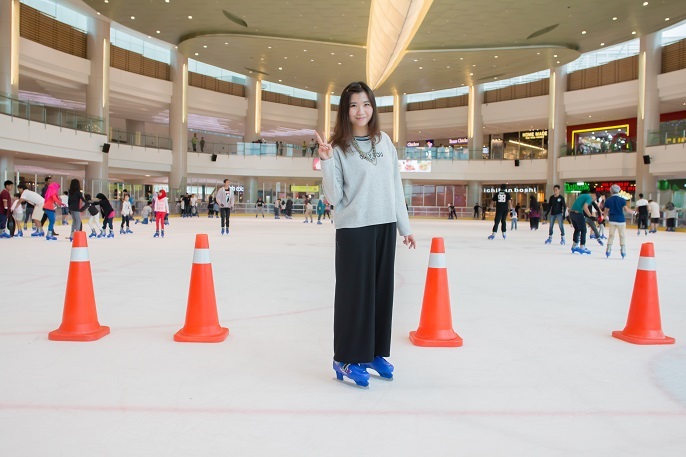 It is important to work on your balancing to avoid falls while you skate. Once you feel comfortable, you can slowly start to glide from one side to another side. 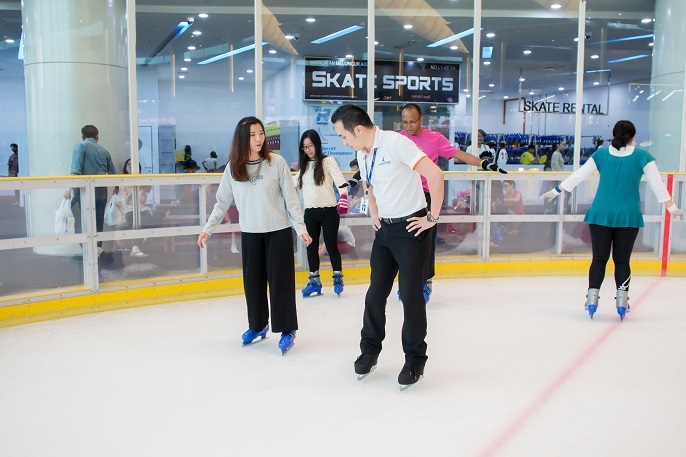 In fact, my first time on ice was at Sunway Pyramid during my college years; but I do not have the right introduction and proper skills and knowledge about it. I believe it would be much more fun and safe if you have a professional to guide you the right way at the beginning. # 3 Semi-private 2-3 students (5 classes x 30 mins per class) RM210 (weekday coach) RM230 (weekend coach), and RM300 (head coach). #4 Group with more than 4 students (5 classes x 30 mins per class) RM160 (weekday coach) RM180 (weekend coach), and RM210 (head coach). All prices above are excluded one time registration fee at RM30. All coaches are very patient and experienced. Keep your knees bent, and your weight forward. Hold your arms out in front of you and open them wide to help you stay balance. Then continue the practice; glide to the left, and glide to the right. 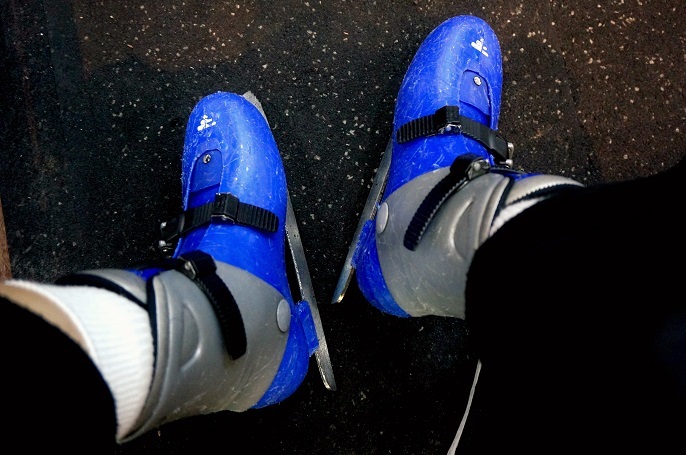 Simple bend your knees, and push and point your blades out which will slowly bring you to a stop. It isn't so difficult after all! Well, I really wish I can skate more fluency without fear of falling. Look how much fun we had on the ice-rink! Hey, no worries! Practice makes perfect! Can you see the crowd behind me with the bigger ice rink? Oh yup! 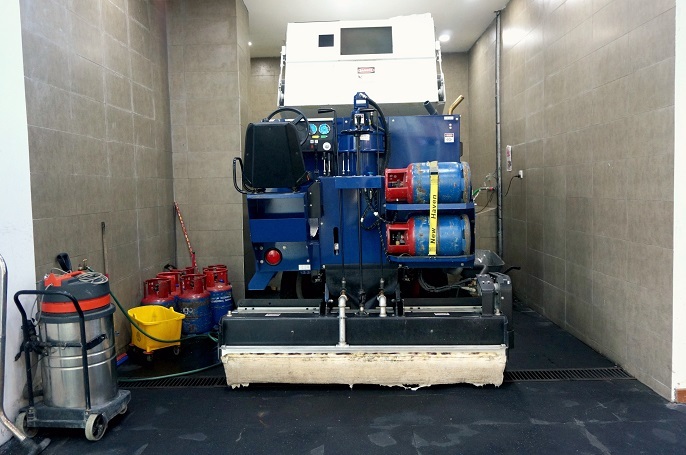 There are 3 different time frames for their ice resurfacing which are scheduled daily at 230pm, 4pm, and 730pm. 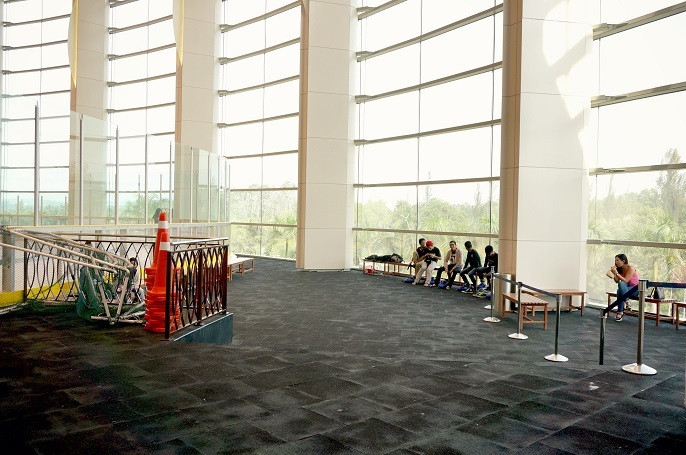 Each section will last for at least 1/2 hour, so, you may try to avoid these times when you purchase the tickets. 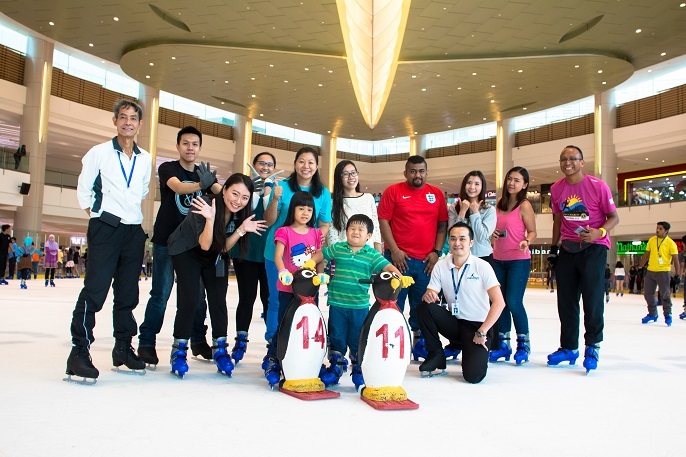 Thanks to everyone from the Icescape, IOI City Mall for making this fun and memorable experience. 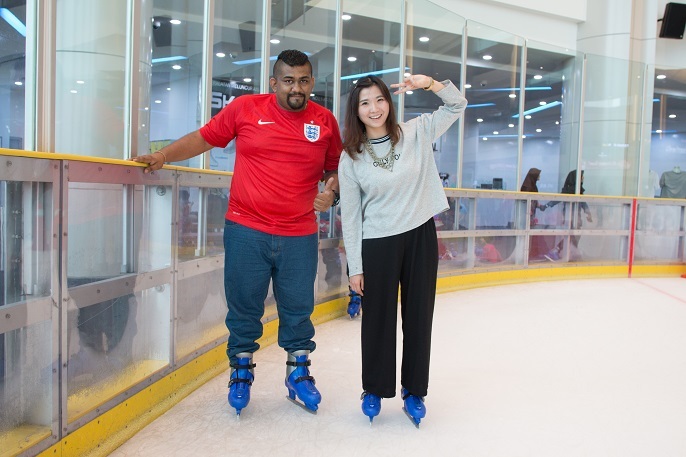 Thanks to Mr. Phua, the Ice Rink Manager, for his times and effort on coaching us. 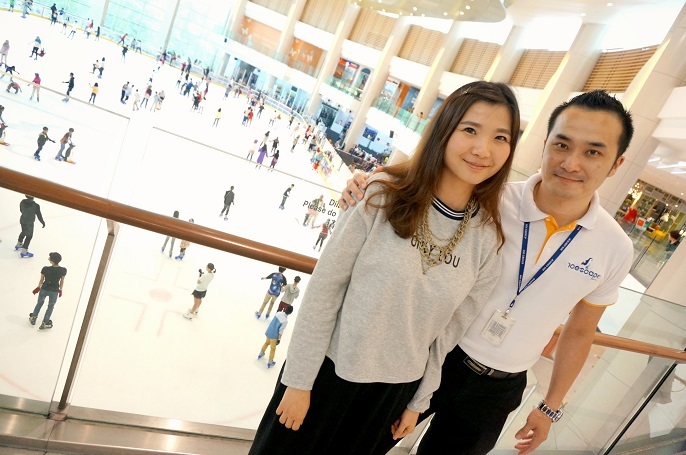 Mr. Phua has more than 16 years of skating experience who was trained by the Olympic coach, Matthew Smith in Los Angeles, USA. He has been performed in more than 40 cities including USA, Canada, Japan, Puerto Rico and Venezuela. Instead of spending your time on the couch watching TV or do your window shopping, let's find some place or some special activity that might help you relax! 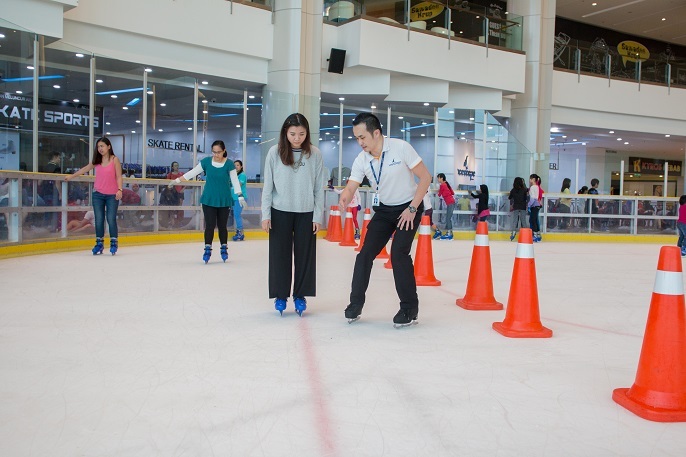 Ice-Skating is not only for having fun together, it can also be a great year round activity to keep you active and fit. I will never forget that day because up until that point I had never witnessed a jump like that up close and in person. I had only seen ice skating on television, where professional figure skaters seemed to execute jumps effortlessly, almost as if they were just dancing, and not barreling down the ice rink at 20 miles per hour. And, I have to tell you that nothing prepares you to see that kind of power and speed up close.